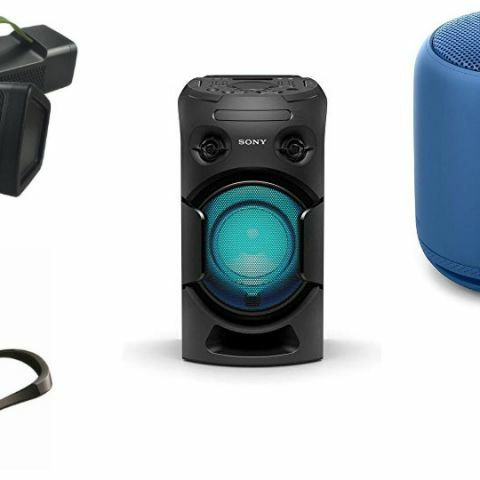 Paytm's Maha Cashback sale is on and we have a list of the best Bluetooth Speaker deals to buy from Paytm. Paytm’s Maha Cashback Sale is now live and there are a lot of gadgets and appliances on sale with the company offering some crazy discounts via cashback offers as well as additional discounts for users using their debit or credit cards. We have covered deals on smartphones, laptops, cameras and headphones which you go through. Let’s take a look at some deals on Bluetooth Speakers. Apple’s AirPods are a pair of truly wireless earphones that has no wire coming out from anywhere. They do look a lot like the EarPods sans the wire. The AirPods connect via a proprietary chip and charge via the storage box which can also retain charge, making the AirPods last for over 8 hours. Needless to say, the AirPods offer good sound quality and is compatible with Hey Siri command. Get deals on Jabra Elite 25e here. The Jabra Elite 25e is a well built, well-designed pair of headphones sporting a classy look. It’s not the first pair of headphones to adopt the neckband design but given the improvements it has brought to the design, it’s mighty impressive. Get deals on the JBL Flip 4 here. Get deals on bOAt Stone 1000 here. This Indian-made portable Bluetooth Speaker is IPX5 rated water and dust proof and comes with a rubber matte finish. It also packs a 3,000mAh battery that gives around 10 hours of battery life. Get deals on Sony MHC-V21D here. This is a home audio system on steroids with support karoke and party lights. It belts out powerful beats through its angular speakers. The speaker can stream via NFC and Bluetooth and can even pair with another home audio system for even better sound.